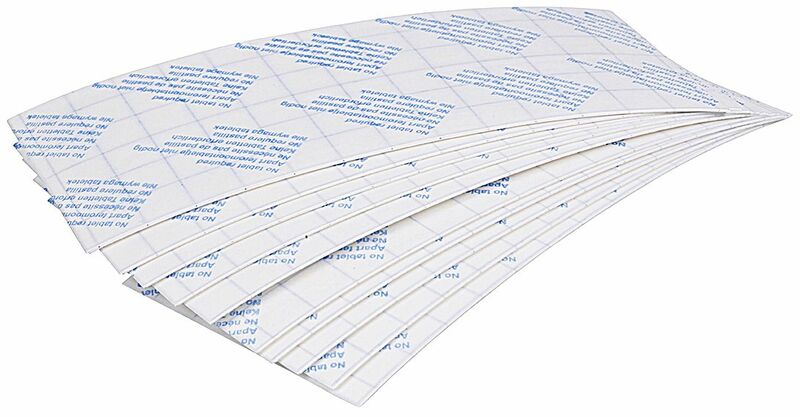 Pack of 10 pheromone replacement pads to be used with the demi-diamond range of clothes moth traps. The pads attract male clothes moths and are a useful way of tracking clothes moth activity, including levels of moths to gauge the success of a treatment. Clothes moth traps are not able to eradicate an infestation on their own and further control action is usually required to clean out the infestation completely. 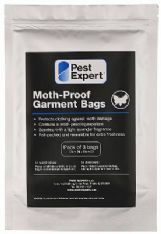 See our range of clothes moth killer products for solutions to any infestation. NB This listing is for a pack of replacement pads only. If you require the actual plastic demi-diamond traps then please see our other listing for this product. Pest Expert Formula 'C' is a fast-acting clothes moth killer spray that kills clothes moths on contact and also leaves behind an insecticidal residue that is effective for up to 12 weeks, offering long-lasting clothes moth control. (FROM JUST £7.49 WHEN BUYING MULTIPLES!). Mothkill experience My order was easy to make, and arrived amazingly quickly. Excellent service. These moth strips cost a fraction of those in the high street, and they arrived very promptly, with updates on their progress. Excellent, fast, did what it promised This company delivered exactly what I wanted and delivered exactly when promised, fantastic service, would definately use again. I previously had a problem with Carpet Moths (same as clothes moth apparently) and found these pheromone traps to be excellent. I now leave them behind furniture in different rooms around the house to monitor for activity.... I don't bother buying the plastic holders, just the pads. Great product and much cheaper than replacing new wool carpets! An excellent product at an excellent price! I had a clothes moth problem a few years ago which was devastating and cost me a fortune in damaged wool and cashmere clothing. I have bought these refills for the demi diamond moth traps ever since and in my opinion they are the best. I can also highly recommend the Moth Proof Bags and Rentokil Moth Killer Hanging Units. Essential kit if you have an extensive clothing collecting and want to take care of it.